We are an active partner in Character Counts! North Canton. We are active members of the North Canton Chamber of Commerce, with our community relations manager serving as a chamber ambassador. The North Canton Public Library, in partnership with the North Canton City Schools and Walsh University, was awarded a joint Early Literacy and Reading Readiness Grant from the Ohio Department of Education. The grant is an effort by the Ohio Department of Education to support the design and implementation of innovative K-3 early literacy concepts and strategies, with an ultimate goal of preparing students to read at grade level by the end of third grade, in conjunction with the state’s new Third Grade Reading Guarantee legislation. The library has been an instrumental member of the North Canton community Green Business Roundtable, organized by our local chamber of commerce. With the inspiration of this group, the library has formed a staff “green team,” and are implementing programs and policies to reflect our commitment to sustainability. Library management staff are encouraged to serve on outside committees and to be active with local volunteer organizations. Collectively, we are active with the Rotary, Chamber of Commerce, WordCamp North Canton, the Foundation for Community Betterment and ystark!. In November 2013, all departments of the library came together to “explore the world of giving & community.” During this month, we hosted a community involvement fair with 18 local non-profits on-site to share information about the good work they do and how our patrons can become involved. We also partnered with Project REBUILD and the Stark County Humane Society on a teen dog house building program. We are an active participant in the Walsh University Intelligent Community Forum, a think tank that studies the economic and social development of the 21st Century community. We recently created a position for, and hired, a full time manager of outreach services to identify and plan opportunities for additional service and partnerships within the community. 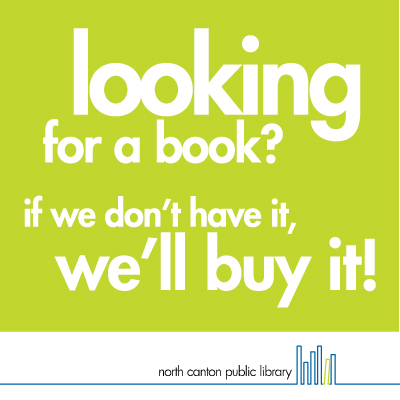 Contact our outreach services manager at kburick@ncantonlibrary.org.